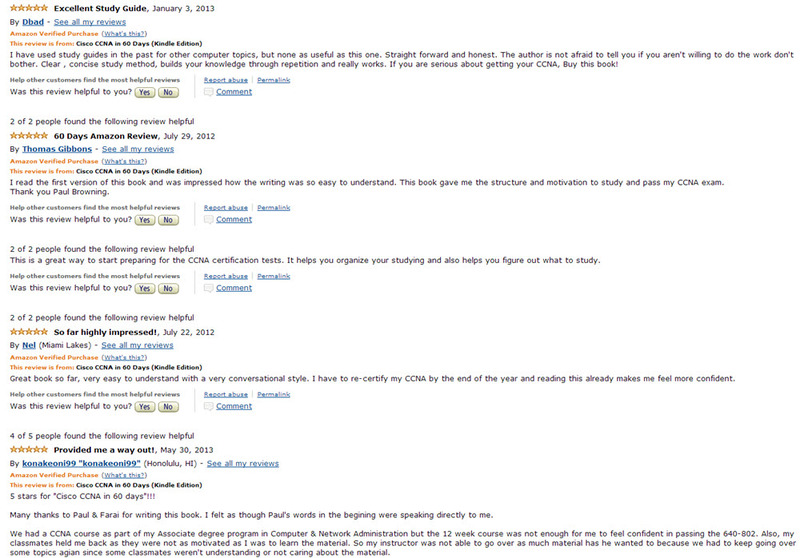 Please help us promote the book by adding a positive review on Amazon.com. As a thank you we will e-mail you a free CCNA exam. In the review, make sure you add what you liked about the book and if it’s helped you pass your exam. Upload a screen shot below and add your e-mail and we’ll send you a free CCNA exams within 48 hours. Please upload an jpeg of your review. Please keep it under 250kb if possible.